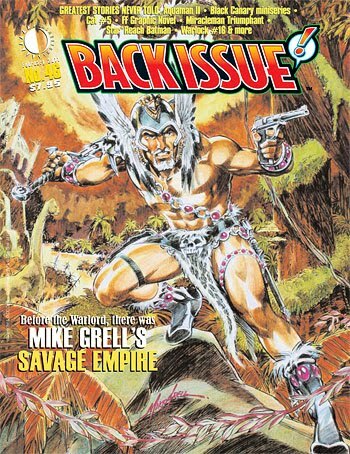 Back Issue #46, from TwoMorrows, isn't due out until January 19, but you can download a free preview here. The issue focuses on some of the “Greatest Stories Never Told” -- comic book stories that were started and developed but never saw publication for whatever reason(s). Of particular interest to you might be Jarrod Buttery's article on Dan Fingeroth's and Al Milgrom's aborted Fantastic Four: Fathers & Sons. I haven't seen the final article yet, but I provided some background information to Buttery, including how I attempted to get Marvel to finally print the darn thing! (It was, in fact, written, penciled, inked and lettered before the project was scuttled.) I don't know how much detail Buttery ultimately went into, but I do appear to be given a "Special Thanks" credit at the beginning of the issue so I'm guessing I at least get a passing mention. But I'm know I'm looking forward to seeing what other info Buttery may have dug up on that story, so it'll be worth taking a look at for that alone!